While most of us were celebrating the coming of the New Year, the database elves at the GOC were busy resetting MyCET accounts to zero ready for the new cycle. More than 1 million CET points were awarded in the 2013-2015 cycle but regardless of how many of those were yours; your account was set back to zero on 1 January 2016 ready for the new 3 year cycle. You have until 31 December 2018 to meet the requirements all over again. This cycle’s requirements are the same as last time. 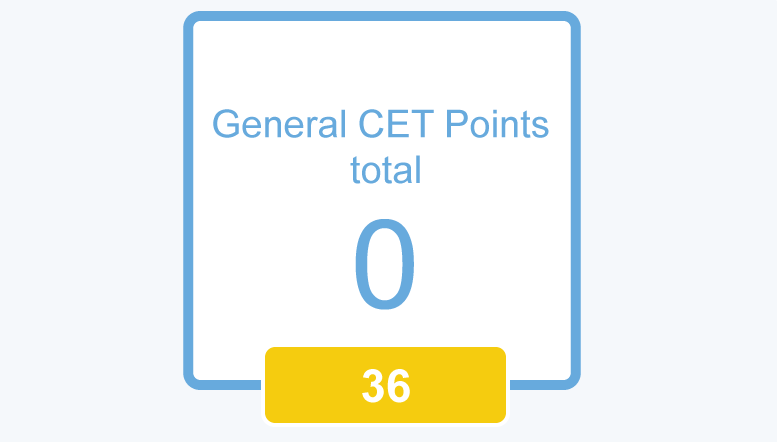 Most of us still need to achieve a minimum of 36 CET points over 3 years with additional requirements for interactivity, competencies and peer review. And like last cycle you need to participate in CET throughout the cycle earning and accepting at least 6 points per year. If you’re unsure what your requirement are you’ll find a list in the “track progress” section of MyCET. So has anything actually changed? Well there are three main differences this year. The first is that the ‘professional conduct’ competency is replaced with a new ‘standards of practice’ competency. The new standards of practice were agreed by the GOC in 2015 and come into force on 1 April 2016. They explain in more detail than ever before what is expected of a practising optometrist or dispensing optician and are a set of guidelines to work to in professional life. The GOC requires everyone to confirm they have read the standards of practice document before you can proceed to accept CET points in your MyCET account. Our website already has a number of CET lectures which count towards the new competency. Just use the filter to display CET by competency. The second change is that there is much more emphasis this year on planned learning and reflection. Providers of CET have been asked to provide opportunities for their delegates to reflect on what they have learned at lectures, workshops and distance learning. You should notice providers beginning to ask you to consider whether their CET met the published learning objectives, or providing you a reflective learning statement to complete. The GOC would also like us all to plan our learning by setting up a Personal Development Plan (PDP) to which we can add CET events and other development activities. 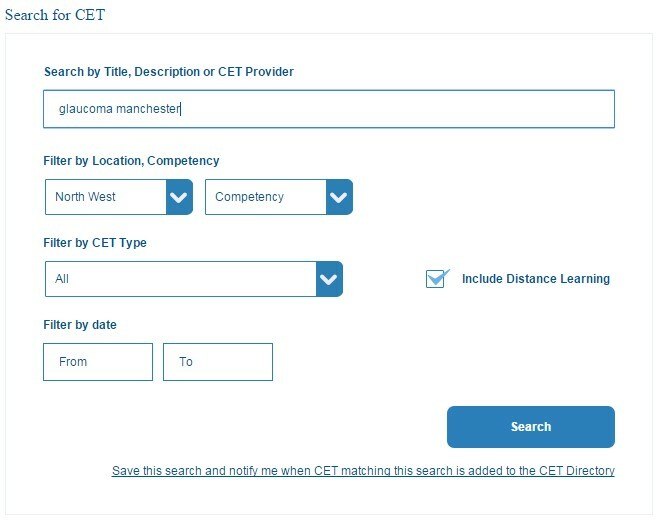 MyCET hosts an online PDP which allows you to add CET to a PDP at the point of accepting the points but you can also use the CET directory to search for CET and add it to a PDP in advance. You can even set your PDP to alert you when CET meeting certain criteria (a glaucoma lecture in Manchester for example) becomes available. Finally the GOC has redefined what constitutes ‘interactivity’ for distance learning. All CET you attend physically is always interactive but distance learning has, in the past, required additional activities to make it interactive. The GOC has not yet defined to providers exactly what constitutes interactivity for distance learning and so, for now, all forms of distance learning, including the Eyecare website remain non-interactive. We’re keeping an eye on the new requirements and hope to be able to launch interactive distance learning later this year. 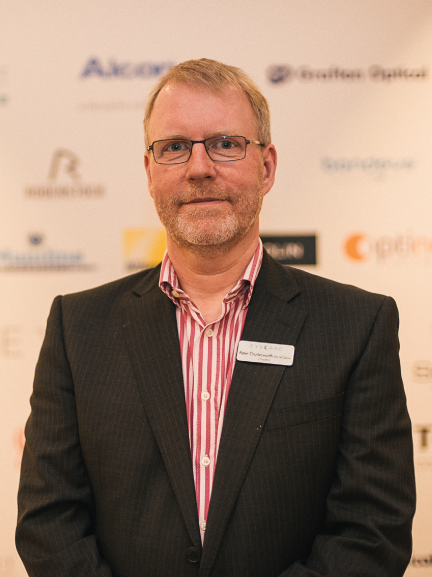 Peter Charlesworth is an optometrist and Managing Director of Eyecare. He is a former examiner and councillor of the College of Optometrists, a former member of the GOC’s fitness to practise committee and holds an MSc in Investigative Ophthalmology and Vision Science from the University of Manchester. He was Boots Opticians Tutor Practitioner at the University of Bradford for 7 years. His duties there included teaching the Law and Management module to final year students and a clinical investigative techniques module to the second year. Please log-in to post a comment.